Other powers have had their chance to shine to help the cradle of civilisation stand up. Unfortunately some find it hard to divorce the imposition of ideology from economics. China seems to be able to do this better and true to form of the lingering narrative of middleman – its focus remains on trade and investment. Also see – China’s independent foreign policy of peace. Africans are far from being steamrollered. Their governments have shown a surprising assertiveness. The first person to be expelled from Africa’s youngest country, South Sudan, was a Chinese: Liu Yingcai, the local head of Petrodar, a Chinese-Malaysian oil company and the government’s biggest customer, in connection with an alleged $815m oil “theft”. Congo kicked out two rogue commodities traders in the Kivu region. Algerian courts have banned two Chinese firms from participating in a public tender, alleging corruption. Gabonese officials ditched an unfavourable resource deal. Kenyan and South African conservationists are asking China to stop the trade in ivory and rhino horn. A GROUP of five tourists from Beijing passes low over Mount Kenya and into the Rift Valley in their private plane before landing on a dusty airstrip surrounded by the yellow trunks and mist-like branches of fever trees. They walk across a grassy opening where zebras and giraffes roam, snapping pictures while keeping an eye out for charging buffaloes. When they sit down at a table, they seem hungry but at ease. “Last year I went to the South Pole with some friends,” says one of two housewives, showing off iPhone pictures of a gaggle of penguins on permafrost. Chinese are coming to Africa in ever greater numbers and finding it a comfortable place to visit, work in and trade. An estimated 1m are now resident in Africa, up from a few thousand a decade ago, and more keep arriving. Chinese are the fourth-most-numerous visitors to South Africa. Among them will be China’s new president, Xi Jinping, who is also going to Tanzania and the Democratic Republic of Congo on his first foreign outing as leader. The origin of China’s fascination with Africa is easy to see. Between the Sahara and the Kalahari deserts lie many of the raw materials desired by its industries. China recently overtook America as the world’s largest net importer of oil. 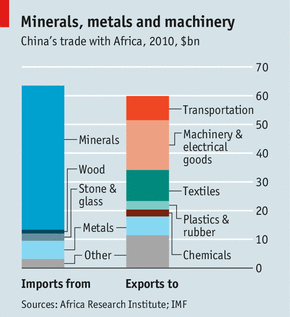 Almost 80% of Chinese imports from Africa are mineral products. 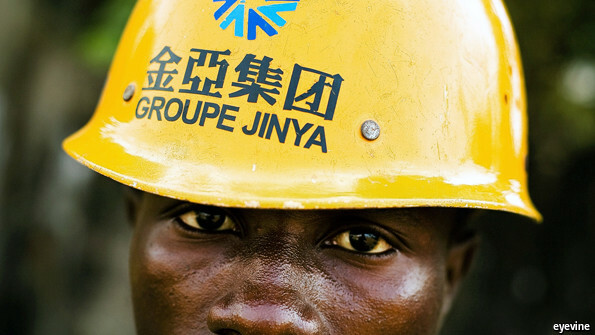 China is Africa’s top business partner, with trade exceeding $166 billion. But it is not all minerals. Exports to Africa are a mixed bag (see chart). Machinery makes up 29%. A recommended watch to see through the monotheistic narrative that commonly misrepresents China in global media. The southern Chinese have been inciting uprisings against their perceived injustices since the Ming dynasty, a lineage continued during the time of Sun Yat-Sen. It looks like it exists till today. Wukan, a village in China’s southern Guangdong province, captured the world’s attention when it achieved a rare victory. After weeks of noisy protests, a crackdown by local authorities and the death of a leading activist, demonstrators succeeded in ousting the village committee, which had held power for more than four decades. Democratic elections were announced and Wukan made international headlines. Wukan: After the Uprising tells the story of the village’s journey following its extraordinary victory. This four-part observational documentary series looks at the challenges of a community’s transition to democracy, through the eyes of former rebels now entrusted with the task of leading the village and regaining lost land. As the international press left Wukan after its historic vote, Al Jazeera stayed on to follow the newly elected village committee in action. Over the course of more than a year, filmmakers Lynn Lee and James Leong documented Wukan’s unique experience with democracy. From the high of the elections, to the grind of everyday work, to the dilemmas of leadership, this is a rare and intimate portrait of rural China in the midst of remarkable change. Please click here to read entire article at Al Jazeera. 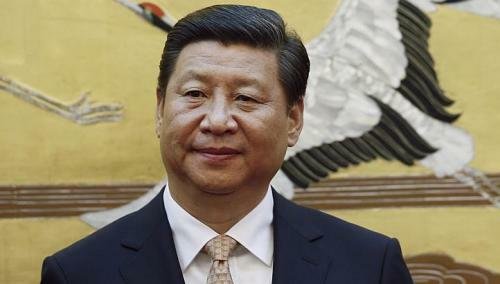 Thoughts from the WSJ on Xi’s apparent Maoist turn. …these Party editorials are intended for cadres, not citizens. The idea is for officials to sit up, take notice of their shortcomings and start working differently. Citizens aren’t being coerced or prepared for disappointment; it’s cadres who are being told to change. – To believe that a set of instructions would serve its dominant hegemonic purpose with full fidelity is a huge overstep. 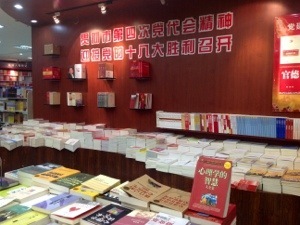 The range of publicly available party literature can be staggering, just rock up to any of the Xinhua bookstores. This was taken in Chongqing earlier in 2013. Please click here to read the full article at the Wall Street Journal China Realtime Report. The exemplary clean up is inevitable with every leadership change – how far down the root it goes is the question that remains unanswered – will there be no sacred cows this time? 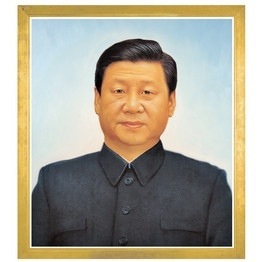 BEIJING (AP) – China’s new leader Xi Jinping is commanding wayward Communist Party cadres to purify themselves of corruption, and he’s summed it up in a pithy slogan as Mao Zedong might have done: Look in the mirror, take a bath. China’s leadership wants to show a cynical public that it’s modernizing and serious about graft, but it appears to be favoring a top-down ideological campaign – with study sessions, self-criticism and propaganda – over imposing real checks on power. That worries many observers, not only because they doubt it will work, but because the tactic appears to be ripped out of the playbook of Mao, the founder of Communist China. “Winning or losing public support is an issue that concerns the Communist Party’s survival or extinction,” Xi said in a message via teleconference Tuesday to top party cadres gathered in groups in their provinces and cities nationwide. Please click here to read the full article at AP Mobile. Interesting his fact-file is still available on the Chinese government official portal. BEIJING, June 9 (Xinhua) — China’s former railways minister Liu Zhijun stood trial in a court in Beijing on Sunday on charges of bribery and abuse of power. According to the indictment by the Second Branch of the Beijing People’s Procuratorate, Liu took advantage of his position and helped 11 people win promotions and project contracts, and accepted 64.6 million yuan (10.53 million U.S. dollars) in bribes from them between 1986 to 2011. 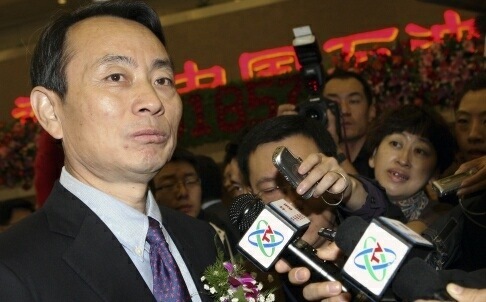 During his tenure as the railways minister, Liu is suspected of helping Ding Yuxin and her relatives to win cargo transportation and railway construction contracts. He also helped them in the acquisition of shares in a bullet train wheel set company and with enterprise financing, by breaking regulations and applying favoritism, which allowed Ding and her family to reap huge profits, according to the indictment. 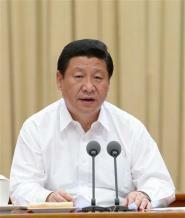 By hook or by crook, this systemic dent has always impeded China’s full potential. It has been one of its major Achilles heels since antiquity. That said and I argue again, it is not corruption that troubles, but the means of facilitating one’s ascent in contemporary Chinese society. One need to be a an increasingly big spender to afford an entourage. The entourage too has mouths to feed and the mouths are real. Desires are at a all fine high with advertising texts robbing Chinese skylines of their natural harmony with the environment – today feeding consumerism is the name of the game. The one seeking ascendancy is no longer feeding an entourage of farmers from the village. The downstream effect that you have to be generous too their family to gain utmost trust is an expensive one in today’s terms. A study of the major Chinese narratives and works of literature, right down to contemporary state sponsored Chinese-made TV today reveals much. It is an inherently deep Chinese lament. In the past when the Chinese echelons got corrupt and softened, foreign powers sat on their throne as recent as living memory. 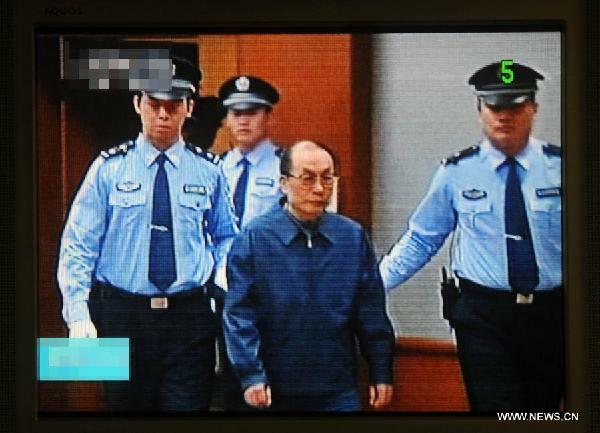 Wang Qishan – man for the job to prevent this negative slide? After witnessing previous campaigns against corruption fizzle out, or turn into an excuse for political backstabbing, the Chinese public might well be skeptical about President Xi Jinping’s latest attempt to rectify the Communist Party. This present campaign, however, is beginning to look very different from the usual side-stepping that is done largely to impress the public. 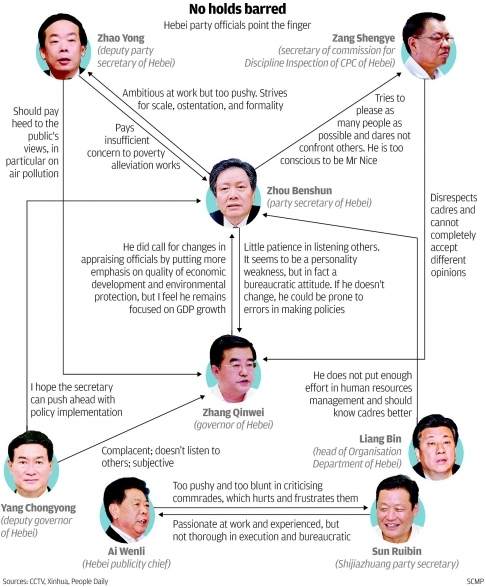 And if reform-minded party cadres throw their support Mr. Xi’s way, it could turn into a broader effort to make the party more accountable. Please click here to read the full article at the Wall Street Journal.